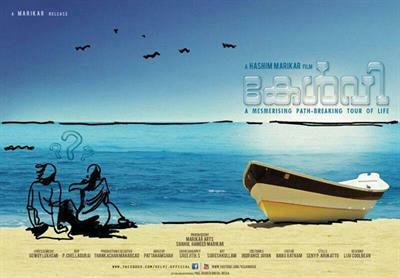 Kelvi malayalam movie featuring Bharat in lead will be directed by Hashim Marikkar. This bilingual movie made in Malayalam and Tamil will have Mahesh, Daniel Balaji, Mamthas, Suja Varuni, Thanishka and Eden Kuriakose doing important roles. Bharat who is standing on the peak of his career best, is expected to don the lead character in malayalam after the blockbuster '4 the people'. Hashim Marikar, young filmmaker is gearing up to shoulder a big budget movie which would be made simultaneously in Malayalam and Tamil. Titled 'Kelvi', this bilingual movie will have young superstar Bharat in lead. Mahesh, Daniel Balaji, Mamthas, Suja Varuni, Thanishka and Eden Kuriakose will give life to other important roles in the tamil version. The casting of for the Malayalam version is currently progressing. Bharat, who is standing on the peak of his career best, is expected to don the lead character in malayalam after the blockbuster '4 the people'. Heard from the grapevine, a popular Bollywood actress is also roped to play an important role in the Tamil version. Mahesh (Angaditheru), Thanshika(Paradesi), Eden Kuriakose (Paniveezhum Nila) who are known among the tamil movie lovers will be getting an opportunity to share screen space with Bharat. With Bharat donning the lead character, it would be the return of the hero after his debut in malayalam, '4 the people', the trend setter which created waves in theatres. Much interestingly Hasim Marikkar has already announced another project 'Preview' which revolves around the life of a film director outside the world of cinema. With Maqbool Salman and Devika playing the lead role, few other leading actors would also be seen in the movie which carries an element of suspense too. Preview being a family entertainer pools in to the life of a film director and five engineering students who have to face a series of incidents in their lives. Bharat who made his acting debut with Shankar's Boys, has already acted in 25 movies during his one decade long acting career. With Killadi and 555, the actor is hoping to fly high in kollywood. The actor was spotted in a muscular figure in 555 which has already raised much anticipation among the movie enthusiasts. Will the youngster be seen in his new avatar in 'Kelvi' too? Just wait and see.